Glenrosa homes for sale make up one of the larger communities in the West Kelowna area. 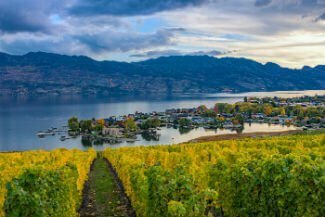 This picturesque region is situated on the western side of Kelowna and features awe-inspiring lake views as well as beautiful properties perfect for families. The area is notable for its great schools, large scenic lots, and gently paced lifestyle. There are plenty of gorgeous well-established houses found throughout the Glenrosa community, though the remaining prime lots are being singled out for resplendent new construction developments. Residents of Glenrosa properties get to revel in some of the best views in the greater city and enjoy exactly what so many come to Kelowna looking for. Explore the beautiful homes of Glenrosa by searching through the latest listings below. Keep reading to find out about what the Glenrosa real estate market can offer you. Register for an account with Vantage West Realty for access to listing details, advanced search features, and much more! The beautiful properties on the Glenrosa real estate market include a diversified selection of undeveloped hilltop lots, established single-family homes, new construction houses, and luxury properties. Most of Glenrosa's detached homes were built in the 1970s and 1980s and feature spacious floorplans and large, landscaped lots. Property styles include raised ranchers, cottages, cozy Okanagan bungalows, two-story traditional houses, and mid-century A-frames. At the more affordable price points, buyers can choose a home with its original finishes, though many of the slightly more expensive houses feature recent upgrades. These remodeling projects can leave 20th century units with trimmings such as granite countertops, tile backsplashes, modern light fixtures, and fresh neutral paint. Glenrosa's homes can be quite elegant in style, with some larger estate-like properties found in the upper end of its market. In the $500,000-$700,000 range there are some gorgeous light-filled houses with hot tubs, vaulted wood beam ceilings, hardwood floors, and barbecue patios. Wrap-around sundecks and acres of outdoor space with rural features such as chicken pens and paddocks are also some of the pleasant features found in these warm, comfortable residences. Positioned against a tapestry of lush green and gold hills, blue lakewater, simple pastures, and forested knolls, Glenrosa homes for sale represent the overall attraction of Kelowna real estate. Luxury homes in Glenrosa tend to price between $1,000,000 and $3,000,000, though there are several expansive vacant lots priced even higher. The community's stunning views have allowed it to become a popular location for the crafting of modern new construction ranchers with luxurious touches such as quartz countertops, heated floors, stone steam showers, and top-of-the-line appliances. Contemporary upscale communities such as Crystal View are hubs of new development in Glenrosa. In addition, there are older luxury houses on colossal private lots overlooking the lake. These showcase sophistication with their heated outdoor swimming pools, floor-to-ceiling windows, natural stone fireplaces, and sundecks big enough for al fresco parties. Incredible vistas, custom high-end finishes, endless entertainment space, and more square footage than you'll ever need are the signs of a Glenrosa luxury house. Glenrosa is well situated for those who need to live close to necessary and leisurely amenities. Glenrosa Elementary School and Glenrosa Middle School are located in the community and Mount Boucherie Secondary School is a short drive away. There are great vineyards, wineries, and markets in the area. Plus, there is beautiful wilderness to explore in the Trepanier Protected Area and its surrounding parks. Smaller community parks are found near Glenrosa homes, so it's easy to enjoy a picnic or game of soccer with the family. Amazing lakefront locations are only a short distance from this lovely, laid-back neighbourhood. Contact Vantage West Realty to learn more about any of the Glenrosa real estate listings that you find here. One of our expert Kelowna-based agents will be happy to help you with any and all questions you might have about the area!